Fighting game includes all console DLC on PC. Nitroplus Blasterz: Heroines Infinite Duel will launch for PC via Steam on December 8, publisher XSEED Games announced. Originally released for PlayStation 4 and PlayStation 3, the PC version of the game mirrors the latest version of the game in Japanese arcades, offering rebalanced characters, additional victory poses, and animated stage backgrounds, as well as a brand new color palette. All of the downloadable content from the PlayStation versions, including additional fighters Homura from Senran Kagura and Heart from Arcana Heart, are included in the PC release. 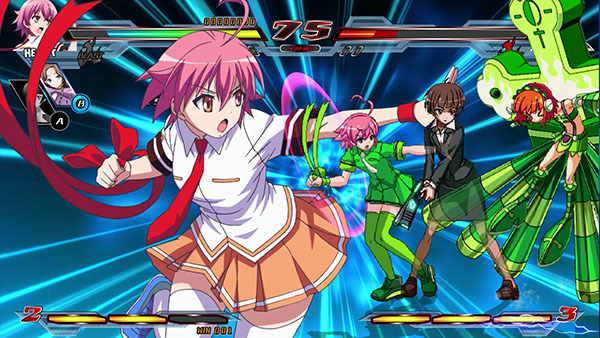 Originally released for the PlayStation 4 and PlayStation 3 computer entertainment systems, Nitroplus Blasterz: Heroines Infinite Duel was expertly developed by the studio behind the Arcana Heart series of fighting games, EXAMU. The game boasts an intuitively balanced game engine, stunning artwork and animation, and satisfyingly fast-paced fighting action sure to delight players of all skill levels.